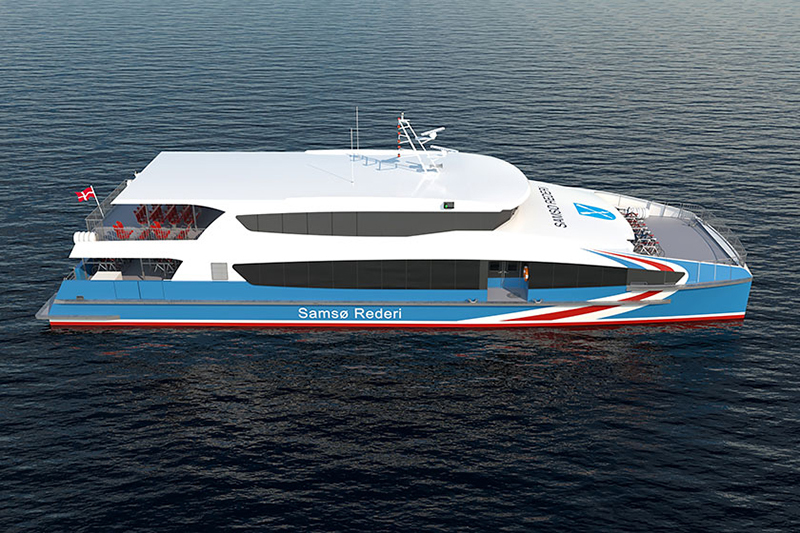 The 296-pax vessel will operate between the Aarhus and the island of Samsø. The intention of the new operation is to bolster tourism and trade between the island and the mainland. The main deck features a large aft deck with double-decker racks for 60 bicycles. An additional 11 bikes can be stowed on the foredeck.